Wrightslaw is developing a library of recorded multimedia training programs. These programs are self-study, self-paced, and allow you to learn in the comfort of your home or office. All you need is a computer, speakers and the free WebEx player. These Wrightslaw Multimedia programs are available as Immediate Downloads. CEUs are available. Questions? Read FAQs about Wrightslaw Multimedia Training Programs . Order the Understanding Your Child's Test Scores Program with Pete Wright. Download; 1.5 hrs. Your cost: $89.95 - you save $60! Your books will be sent by U.S. Media Mail. Order the Wrightslaw Special Education Law & Advocacy Training Program Download; 6.5 hrs, 4 sessions. 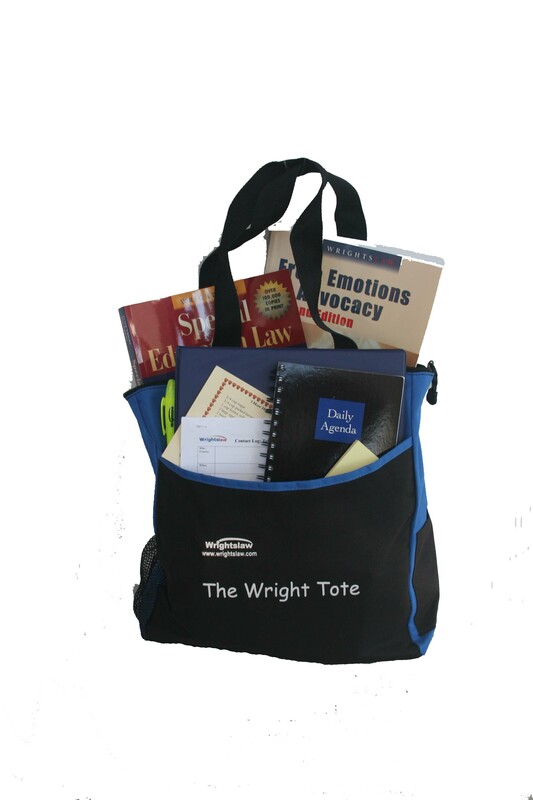 Wrightslaw Price: $49.95 - you save $50! Shop on the Internet with confidence. This web site secures your private information using the highest-grade encryption from Equifax Secure Global eBusiness. We accept Visa, MasterCard, Discover and American Express.